This pollen grain was recovered from honey sold as "Sweet Clover Honey". There was some sweet clover pollen but it was not the dominant pollen in this sample. This view is an optical section at the front edge of the pollen grain. 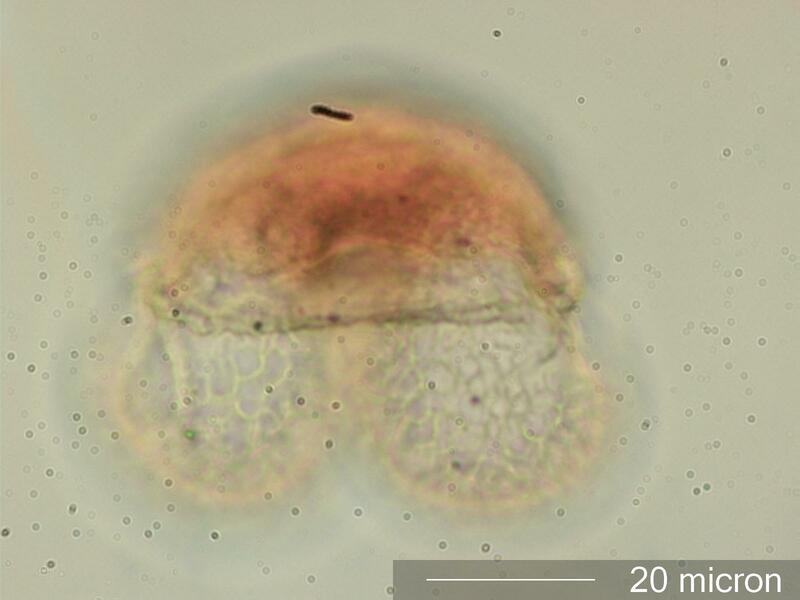 The skirt of the pollen grain is visible running horizontally between the main body (top) and the air sacks below. The "Reticulate" pattern on the surface of the air sacks shows well in this image.